Jelly Bean, The latest Android OS is super quick, and, shall I say, buttery smooth? Switching between apps is so easy; you will begin to feel you’re flipping through a book’s pages. An Amazing feature of Jelly Bean is that whenever you touch the screen, the processor is boosted, and when it’s idle, it just putters along. So you have great battery life. Another great feature is the ability for users to take action directly from your notifications. You can customize your home screen and place widgets according to your needs. Shoot and view your pictures at just a touch, and share photos in an instant. Voice typing has been greatly improves, and the superbly accurate dictionaries mean you never type a wrong word again. Play android games as you play on laptop/desktops. Jelly bean also has enhanced accessibility, especially for the visually impaired. The search options are simply mind blowing; you can voice search, and automatically get info (local weather, traffic and transportation info) as and when you need it. Google has already applied the war paint, and will give Apple’s iOS a serious run for their money. They will definitely be sent scurrying back to the drawing board to come up with something to best Jelly Bean. So now let’s take a look at the gadgets that will run on the Jelly Bean OS. Samsung’s selling-like-hot-cakes Smartphones the Galaxy S III and the S II will of course get the Jelly Bean Update, as will its ‘phablet’, the Galaxy Note. But they are tight lipped about when exactly the upgrade will be implemented. The Nexus S and Nexus Prime are already in the process of moving over to the new OS. It’s also likely that the Galaxy Tab will also receive the upgrade, though no such announcement has yet been made. Other phones from the Galaxy series like the Galaxy R, S Plus and S Advance are also compatible with Jelly Bean; but Samsung has not made any statement that those phones would be upgraded. HTC doesn’t want to be left behind. They have announced that their Tegra 3 powered One X, One XL and the One S are all in line to receive the upgrade as soon as they can implement it. Check my review about HTC One X vs Samsung Galaxy S3. Sony’s Xperia range, the S, P, Arc S and Neo are likely to be upgraded. Also check out the Latest android phone prices in India. Motorola being in the Google family is expected to receive the upgrades fastest. The Xoom, predictably, is already being updated, and the Razr range and the Atrix 2 will soon be rolled out with Jelly Bean in place. Kindle Fire from Amazon is customized to an extent that updates seem nearly no-go. However there is a Jelly Bean Port available on the Fire; this means that you will get some of the Jelly Bean functionality, but don’t expect fireworks. Experts also strongly advise that you back up your data before you make use of the port. Google’s Nexus 7, which was released side by side with Jelly Bean is of course one of the most powerful and economical mobile device we can see in the segment currently. Coming from Google it was already loaded with Jelly Bean and was an instant sell out. We can expect that other devices in the Nexus range, like the Nexus S, will also be upgraded to the latest Android OS shortly. This list is still incomplete as there are still number of android device which will get Jelly Bean. 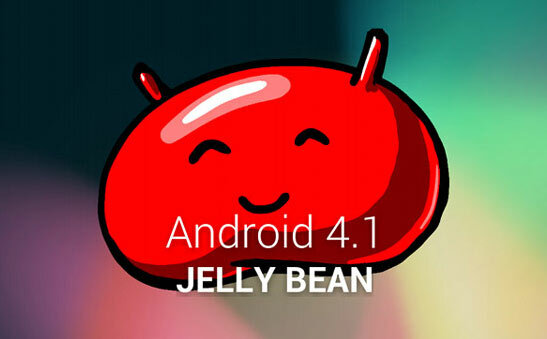 You can share if you know more devices that ‘s getting Jelly Bean upgrade in the future.